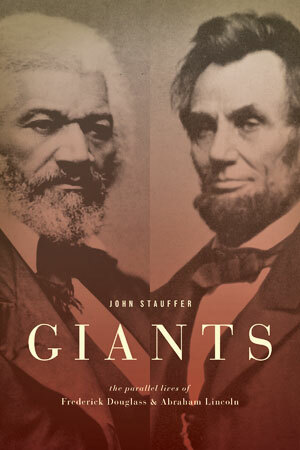 GIANTS: The Parallel Lives of Frederick Douglass and Abraham Lincoln is a dual biography of the two preeminent self-made men in American history. Lincoln was born dirt poor, had less than one year of formal education, and became the nation’s greatest president. Douglass spent the first twenty years of his life as a slave, had no formal schooling, and became the most famous black man in the Western world and one of the nation’s greatest writers. The book tells the story of how and why Douglass and Lincoln rose up from the dregs to become two of the most important men in America. In braiding their lives together, reflecting the one off the other, we gain a fuller, more nuanced picture of each man’s character and career than has been possible with a single biography. We understand for the first time how important friends, mentors, lovers, and rivals were in shaping them. We grasp for the first time their deep flaws, which allow us to see them as men rather than as perfect myths. And we appreciate how important religious faith, chance (or circumstance), and the power of language were in their self-making. In their worlds, God was a palpable force, words were forms of action. Douglass and Lincoln were pragmatists, able to put aside their vast differences and come together as friends. In 1860 Douglass helped elect Lincoln as president. At a time when most whites would not let a black man cross their threshold, Lincoln met Douglass three times at the White House. Their friendship was chiefly utilitarian: Lincoln needed Douglass to help him destroy the Confederacy; Douglass knew that Lincoln could help him end slavery. But they also genuinely liked and admired each other. Douglass and Lincoln ultimately understood that continual self-making was antithetical to racism. This was because the idea of “whiteness” as a sign of superiority depended on a self that was fixed and unchanging. They stood at the forefront of a major shift in cultural history, which rejected fixed social stations and included blacks and whites, though rarely women, in the national ideals of freedom and equality. 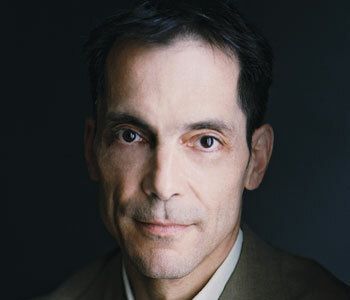 GIANTS opens a window on the transformation of American society during the Civil War era. Douglass’s and Lincoln’s personal conflicts often paralleled the nation’s conflicts, their inner turmoil reflecting national turmoil. In fact, their responses to each other provide a roadmap for the changing political landscape. Douglass repeatedly lost faith in Lincoln, only to find it again. His changing perspectives chart not only the political journeys of both men but also the nation’s journey toward its Second Revolution. Their intertwined story, of change and self-making, conflicts and alliances, is also the nation’s story.